A couple of weeks ago, OCASI hosted a meeting of colleagues from across the country. The one thing they all had in common is a strong belief that the sector is changing and as sector leaders they needed to be ahead of the curve, to influence, since we can't control the changes that are taking place. It was quite a collection of folks. From almost every province, they primarily came from immigrant and refugee serving agencies but also from umbrella organizations like OCASI and from universities. Nellie's is very proud to announce the launch of its position paper on accessibility titled Women with Disabilities and Deaf Women. This paper explores the issues impacting women with Disabilities and Deaf women. It identifies challenges and emerging issues, from which strategies are developed for working with women and to ensure that services are accessible to all. On October 21, 2013 OCASI will celebrate 35 years of excellence in immigrant advocacy. The celebrations take place in Toronto, after the ED Forum. Tickets will go on sale August 1, 2013, so stay tuned for further announcements. In the meantime, take a trip down memory lane with the OCASI Historical Timeline. OCASI, through the Professional Education and Training (PET) project, is accepting applications from agencies seeking in-house group training on the topic of Non-Profit Change Management. Training on this topic will prepare sector leaders to respond and adapt to changes and make necessary improvements. On July 1, 2013, a coalition of community based organizations as well as immigrant and refugee rights advocates launched a campaign to restore family values to Canada's immigration policy, in response to the changes recently proposed by the Minister of Citizenship and Immigration to keep families apart by further restricting family class sponsorship. Newcomers with disabilities experience a number of unique barriers compared to newcomers without disabilities in Ontario. The passing of the Accessibility for Ontarians with Disabilities Act (AODA) in 2005 provides us with the opportunity to learn, reflect, discuss, and implement inclusive and accessible services for all newcomers with disabilities. While the needs of newcomers with disabilities is the same as all newcomers; how settlement service providers meet these needs will be different. If you are in the Toronto area, register for the workshop, which takes place on Wednesday, July 10th, 2013 from 9:00 a.m. - 4:00 p.m. If you are in the London area, register for the workshop, which takes place on July 16th, 2013 from 9:00 a.m. - 4:00 p.m.
OCASI Invites You to Tell Your Citizenship Story! As part of the new Citizenship project, OCASI is delighted to film young people telling their stories about becoming Canadian citizens. Are you interested in telling your story? Do you know someone who is? If you are 16-24 years old, live in Toronto or Montreal, and are comfortable talking on camera, get in touch! You will be compensated for your (fun!) time. To tell your story, contact us at [email protected]. Owned and managed by the Office of the Fairness Commissioner in Toronto, the Exemplary Practices Database is a collection of excellent licensing practices used by regulatory agencies in Ontario. The database contains a range of activities and strategies used by these agencies to authorize professionals to practise their profession in Ontario, Canada. The licensing practices in the database will help regulatory bodies, assessment agencies, and others learn from one another. The database is searchable, easy to use, and available to the public at no charge. Eager to become a better city-builder? Excited to collaborate with rising leaders across different sectors? Committed to making positive change in our region? DiverseCity Fellows is a one year leadership development program for city-builders who are committed to exercising collective leadership to create solutions to complex urban challenges. 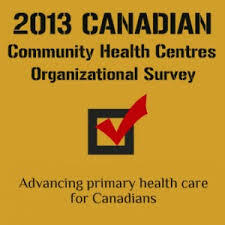 CACHC is excited to announce the launch of the inaugural Canadian Community Health Centres Organizational Survey. Developed through the leadership of CACHC's Research Working Group, this brief online survey aims to increase understanding of Community Health Centres (CHCs) across Canada and the breadth of services and programs that they provide. Input from Community Health Centres across the country will be used to disseminate raise awareness of CHCs across Canada; to advocate funding opportunities to support CHCs and community-engaged, participatory research across the country; to facilitate knowledge exchange and collaboration among CHCs; and to identify opportunities and areas for global collaboration among CHCs. Newcomer Women's Services Toronto (NEW) is proud to announce an Intergenerational Video Project on the prevention of elder abuse. The Project will bring together Elders and Youth to develop a series of videos about elder abuse prevention. It will be an exciting and dynamic learning experience for all involved!